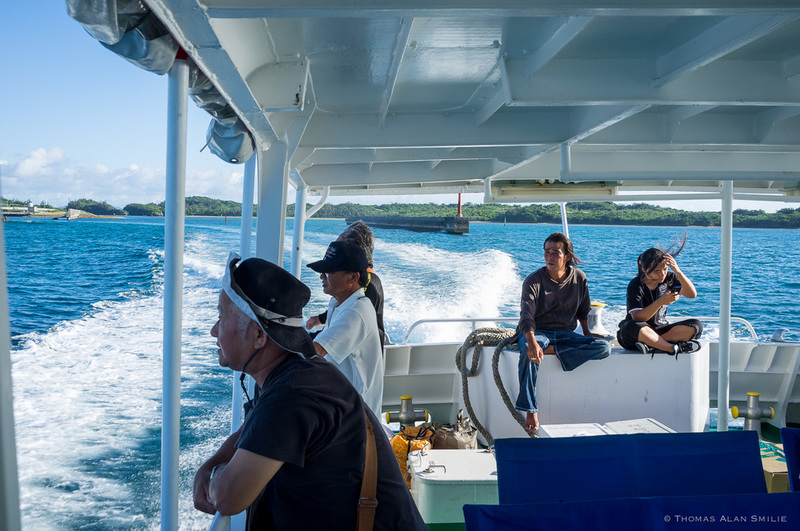 A couple a weeks ago I took the ferry out to Tsuken Island about 15 minutes east of Okinawa to shoot their annual Dragon Boat races. Tsuken is one of the islands I can see from my home (although I didn't figure this out until after I got back). Riding on the ferry to Tsuken Island. - Fuji x100. Arriving at Tsuken Island. Fuji x100. Everyone there is pretty much either a fisherman or a farmer, with carrots being their crop of choice. Tsuken Island Port. Fuji x100. 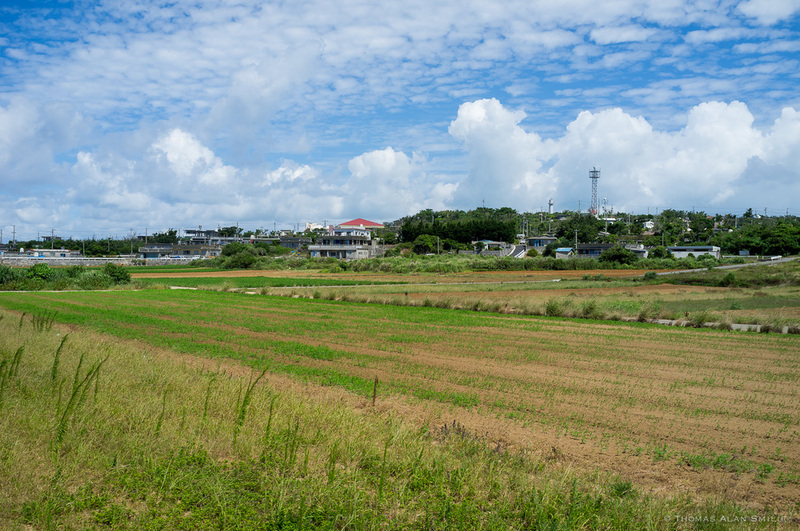 Farmland on Tsuken Island. Fuji x100. 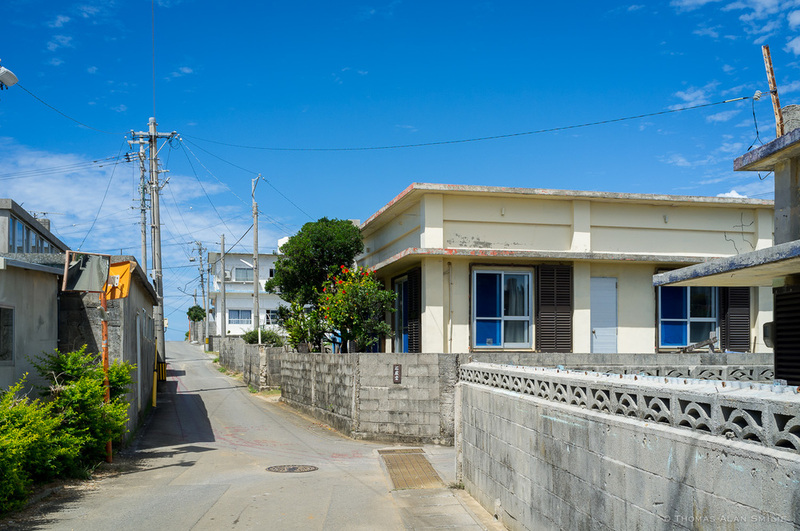 Streets of Tsuken Island. Fuji x100. While you can rent a bike for the day for ¥500 (about $5.00) and ride around there's not much to see really. I'm told that the waters around the island are great for snorkelling however. 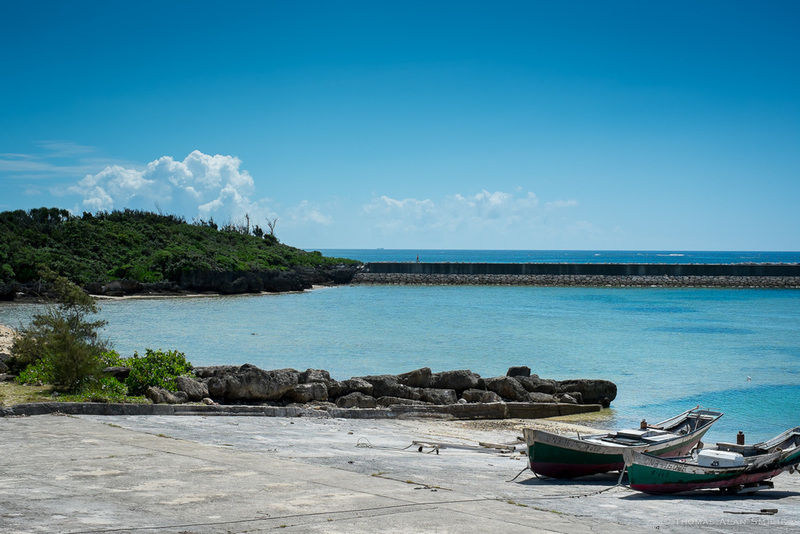 Small fishing port on the east side of the island. Fuji X-Pro1, 35mm f1.4. I think I was the only foreigner on the island that day but I was welcomed with open arms and treated very kindly by everyone. Two very kind ladies at a local (possibly the only) restaurant helping me decide on which Kakigori (shaved Ice) flavor to get. Food was great too as I eat lunch there later. Fuji x100.